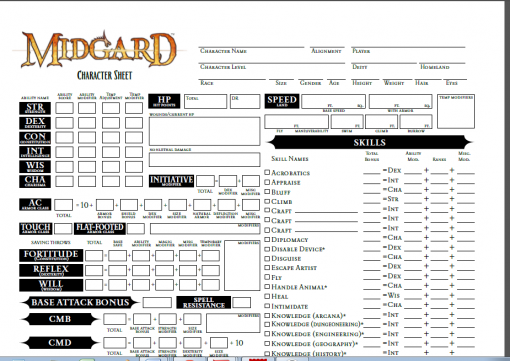 Whether you are leveling up a character or launching a new Midgard campaign, this character sheet has you covered. 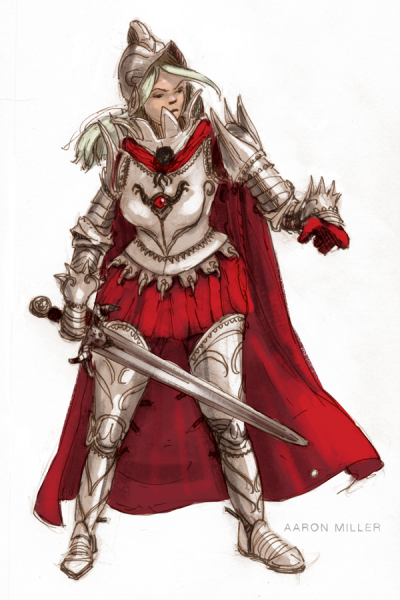 All the Pathfinder RPG options are included, as is a space to note Status. And of course, it includes the Midgard logo. Head for lands of high adventure!